If you’ve got a "climb every mountain" type then hiking to the top of Passage Peak will be a holiday must on this trip. At the top stunning 360 views of the Whitsundays await and an insta-worthy photo to share with friends. The adventure doesn’t stop with activities. They’ll love the chance to sample dishes and explore our restaurants. Whether it’s dining at South-East Asian inspired coca chu, tasting a unquie cocktail at One Tree Hill or going to foodie paradise and enjoying the degustation dinner at Bommie Resturant- there is something new and exciting awaiting them. Taking a tour to Whitehaven Beach and the Great Barrier Reef is something they’ll never forget. This will be a bucket list experience that you help them to tick off! With wakeboading, jet skiing, parasailing, kayaking, paddleboarding, catarmaran sailing and much more they’ll love all the on water sports action. 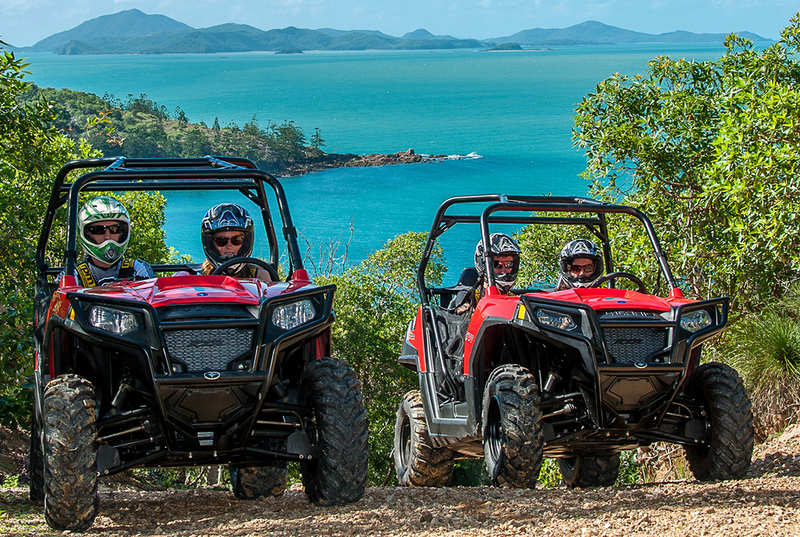 Take an ATV tour and drive an all-terrain vehicle along the scenic tracks of Hamilton Island. 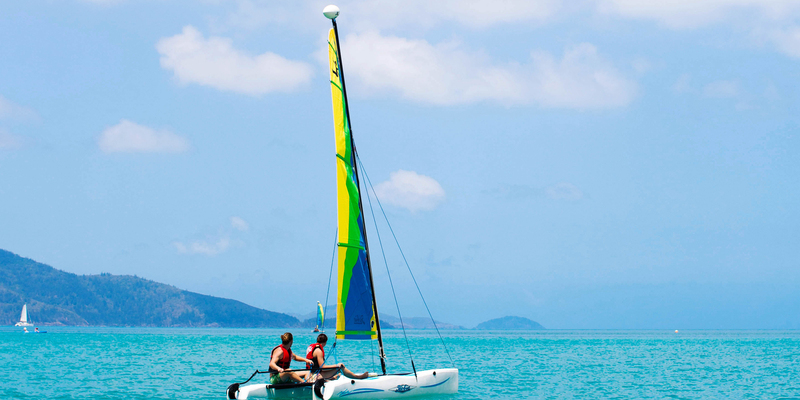 The Best of the Whitsundays is the perfect package to gift your adventure lover for Christmas. As part of the getaway they will spend four nights on Hamilton Island. Included is the opportunity to experience the wonder of the Great Barrier Reef, head to Whitehaven to explore the pristine beach and have full use of the non-motorised water sports equipment at Catseye Beach. To tailor their holiday to include extra activities you can book with our tour desk and select your restaurants- here. Part of the Whitsundays, and in the heart of the Great Barrier Reef, Hamilton Island is one of Australia’s most spectacular and sought-after holiday destinations. On a holiday to Hamilton Island, you'll be surrounded by pristine white beaches, and a kaleidoscope of coral and marine life.